How does eTraffic Leads for Facebook work for you? You get an Email Newsletter Advertising Package with Banners and a Solo Ad Review and outbound calling to generate “Likes” for your Facebook Page. How do we get more followers for your Facebook Page? Our Team cold calls phone leads from single opt-in lists to generate subscribers and to create a powerful branding effect for your product or service in our Email Newsletter. You can take advantage of this phone and email marketing system to get more Facebook Followers. Our phone interview process means that we screen out a lot of “tire-kickers” in your best interest, almost as if we were directly selling your product for you. Imagine being able to get more Facebook Likes from our email subscribers and then having the opportunity to engage with them on a daily basis with your Facebook Posts. Our Newsletter works hard to convert our new email subscribers into your Facebook Followers each and every day. You will be able to take advantage of all of the new email subscribers who join our newsletter to get new Facebook Followers. The entire process is 100% automated. They line up to see your banner ads and read your Solo Ad Review Article (“Product Review”). As new subscribers join each day, they line up to see your Banner ads and to read your Review which looks like a Solo Ad sent exclusively to each new subscriber. Our goal is to help you get as many Followers as possible from all of our new subscribers for 30 days. Phone Lead Generation offers small business owners tremendous leveraging power when it is integrated with a Content Management System such as an Email Newsletter. It makes it possible to attract potential buyers and “re-target” them with banner ads and articles. Our Team is constantly creating and developing new content such as viral videos to keep our subscribers “focused” on your company’s offer. We are cold calling specialists with over 10 years of experience from working in the trenches of call centers in South Florida. Cold calling is one of the most direct and high quality forms of lead generation and it is often one of the most missed opportunities for small business owners to leverage their advertising budget to produce more Sales and Revenue. We call the leads and invite them to join our Newsletter to read your Solo Ad Review and click to your Facebook Page. When our subscribers start viewing your Solo Ad Review Article, it is 100% automated. If you have a Facebook Page and you are looking to get more Followers (“Likes”) to grow your business, you owe it to yourself to start turning Email Newsletter Subscribers into your Facebook Followers. Our phone interview process allows you to target your advertising so that your Facebook Followers are more inclined to purchase your product or service. When you order your Advertising Package today, you get 2 large banners in our Email Newsletter to generate more clicks to your Facebook Page and your banners will be placed in Prime Call-to-Action Zones in the HTML emails where subscribers will click-thru to read an article. Our subscribers will see your product or service and engage with your brand. We use all kinds of viral content to get social shares such as our “Squirrels in the Dog Park” Videos-in-Email Series to entertain our subscribers and generate referral leads from social sharing which should translate into more Likes for your Facebook Page. When our subscribers join our Email Newsletter, they will learn about your product or service from your 150-word Solo Ad Review Article in the Sales Funnel. Everything will run on Auto-Pilot. We make the outbound calls to get email subscribers who will see your Banner Ads and your Solo Ad Review Article. When you order your Advertising Package today, you get a two large 700 x 149 banners in Prime (“Call to Action Zone”) Spots for 30 days plus a Solo Ad Review Article (“a 150 word article”) for your company in our Email Newsletter to be seen by all of our new subscribers. 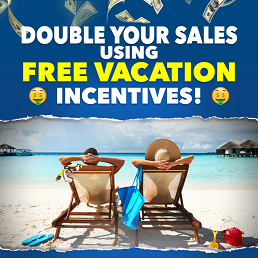 You will benefit directly from our daily cold-calling sessions to our Hot Leads Lists of Home Business and Business Opportunity Seekers who we invite to join our Newsletter to download our free e-books (a $94 value) and register for our Cruise Gift Certificate Contest. We add subscribers to our Email Newsletter List every day. Order your Newsletter Advertising Package today and lock in your $100 discount off the regular cost. You will be able to get your business in front of new subscribers each week and turn them into Facebook Followers for engagement with your Daily Facebook Posts. You can turn our email subscribers into your Facebook Followers on auto-pilot. We can provide a never-ending stream of Facebook followers for your Facebook Page with our daily cold calling sessions to generate new subscribers and build your downline of Phone Interviewed Prospects who will read your Solo Ad Review Article (“a product review”) and click through “Like” to your Facebook Page and start following your daily posts. If you are posting daily, there is a good chance that you will convert many of your new Facebook Followers into Customers. As you get more Facebook Followers, you will get more social signals for Google and Bing and better SERP results and higher rankings for your content on the major search engines. Your investment in more Facebook Followers means increases exposure organically through the digital search landscape. This is a limited time offer, so don’t delay. Once it’s gone, it may never be repeated. When you place your order for your Newsletter Advertising Package, you’ll be able to take advantage of our daily cold calling sessions to get Qualified Prospects for your business, your new potential customers will view your banner ads in our Email Newsletter and read your own Solo Ad Review Article that’s distributed almost (“like a Solo Ad”) to new subscribers entering the Sales Funnel for the first time. Your Solo Ad Review Article is designed to function as a Product Review which is much more credible, professional and less risky than the typical mass email Solo Blast online. You’ll be able to maintain the integrity of your business with an FTC compliant marketing system that assures a steady stream of high-quality prospects to your Facebook Page. It’s the perfect blend of outbound phone sales and product branding with entertaining content for your Facebook Followers. 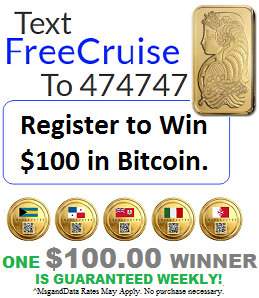 You get 2 Banner Ads in our HTML Newsletter, CruiseVotes.News plus a 150-word Solo Ad Review Article to promote your product or service to our new subscribers for 30 days! Take advantage of this 33% off discount on our regular cost of $299 and save $100 instantly. You can lock in new Likes and Followers for your Facebook Page by placing your order now for only $199. Your ads will go live in about 24 hours upon receipt of payment via Paypal or debit/credit card. We accept Paypal. Credit/debit cards.